On Tuesday, it's your day, the day of talent to be discovered. LFScouting always tries to keep you on your toes because the appetite comes with eating. Today is the day to be satisfied, to plug the gap that there is football in our stomachs and our Danilo Stavola has prepared a meal not so trivial, but a veritable feast. Last week we went across the channel, in the land of the Queen, but today we go by our cousins, In France. 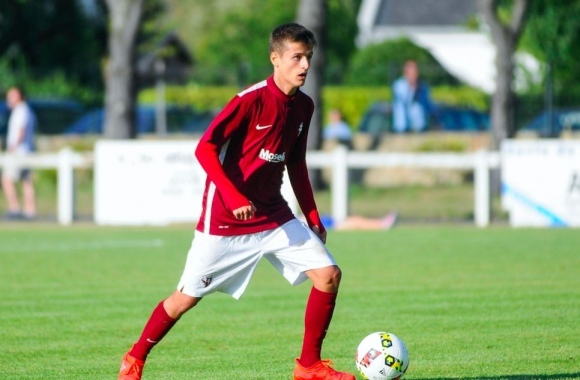 We know many of you turn up their noses at the thought of the rivalry between the two Nations in football but we have to admit that the sports being football schools in France have a prodigious flair in ferreting out talent. Our Danilo failed to get one particularly interesting. We fly to the North-East of France, precisely in Metz. Here, under the eyes of the nets most prestigious teams meticulous scout is being born a star: Vincent Thill. This boy can we nickname him quietly "record man". Why? Was the first of the new Millennium (February 4, 2000) to debut in the first team in the top 5 European Championships, was also the first player to wear the Jersey of the national team (Luxembourg) only 16 years and 50 days. Its quality can see even a child. Foot polite, quick, rapid footwork and thought. The role that prefers is the playmaker, so it can unleash all his talent at the service of the companions. Seeing him play, very insiders review in Vincent Miralem Pjanic. The Bosnian pianist began his career in Metz, then toss in football that matters. The only flaw that you may find yourself a future champion as Thill is the physical gracilità also due to stature. Over time, will certainly have way of growing physical and tactical terms. The talent is there, we must give him time to grow because it is a simple boy with so many dreams and a company like the Metz, famous for being a "cantera" full of talents is sure how to best manage this gem. They say that time is a gentleman, but for an observer ticking. Thanks to Danilo Stavola succeed every week to provide perfectly what you want or know deepen and admire young talents. We bet on him, a footed playmaker fairies, we hope that soon, the newspaper, next to your name dear Thill might be the adjective "formidable". Good luck Vincent, show us and show us things we mere mortals we can not see.